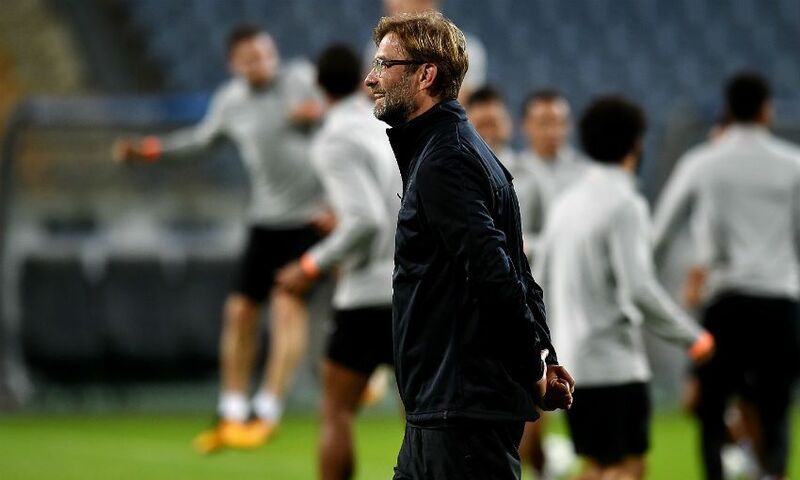 Liverpool returned from their record-breaking Champions League win over Maribor with no new injury concerns ahead of this weekend's trip to Tottenham Hotspur, Jürgen Klopp reported on Friday. The Reds will, of course, be without Sadio Mane (hamstring), Adam Lallana (thigh) and Nathaniel Clyne (back) at Wembley on Sunday. Klopp revealed in his pre-match press conference that there were a "few little issues" after Tuesday's 7-0 victory in Slovenia, but he made no mention of other members of his squad being unavailable to face Spurs. Tottenham boss Mauricio Pochettino, meanwhile, told his own media briefing that Ben Davies and Georges-Kevin N'Koudou are back in full training. Davies missed his side's last two fixtures, against AFC Bournemouth and Real Madrid, due to illness, while N'Koudou was absent for Tuesday's match at the Santiago Bernabeu with a concussion. Mousa Dembele sustained a hip injury during training in Spain and is undergoing assessment and treatment, while Erik Lamela (hips) is in team training as he continues his recovery. Danny Rose returned to action following a long-term knee injury as a late substitute against Real, but Victor Wanyama (knee) is still out.